In 2002, Ann Gerdts, President, Scottish Heritage Society of Iowa, talked to Nydia Osweiler, representing Clans Guthrie and MacAlister in Minnesota. Nydia’s husband Mark, a native Iowan, wanted to assist us in designing and registering a tartan for the State of Iowa. Mark completed one for Minnesota. The process starts with colors representing those seen or symbolic to the State. Yellow for corn or State bird, Green for corn or grass, Brown for the earth, Red for barns or State flower, White for snow, Blue for water or sky. 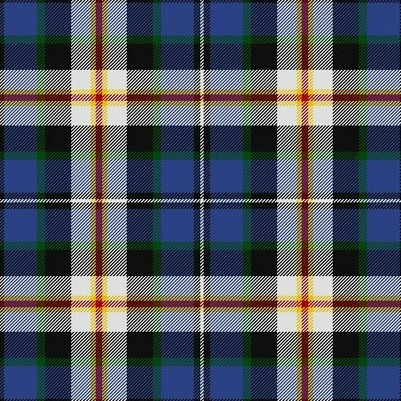 Mike coordinated the colors into 30 tartan designs and brought them to the 2002 CelticFest in Cedar Rapids. The tartan choices receiving the most votes for Regular and Dress were selected. Our selections were presented to the SHSI Greater Des Moines chapter and the American Scottish Society of the Quad Cities. They approved of the selections and each chapter donated $90 to help fund the process. The Iowa Tartans were approved by the Iowa Senate and House on Tartan Day, April 6, 2004. 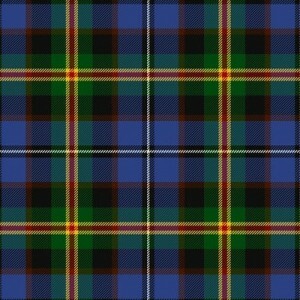 The Scottish Tartan Board approved the Iowa Tartan as “official” in September 2004. Each tartan requires a minimum of 60 yards before a batch can be woven. 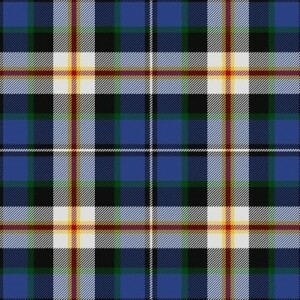 Note that the actual colors are more vibrant than in the images above, but they give you an idea of the sett of the tartans. Both are copyrighted by Mark Osweiler to protect the designs as true Iowa Tartan. 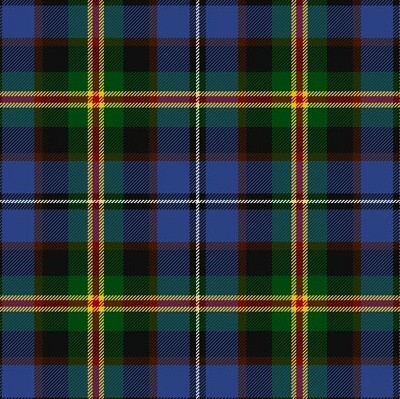 HAGGIS is grateful and honored to be allowed to display these tartans on this website. You can order either tartan! You’ll probably want to get in a group order, though, as the weaver requires a minimum combined order of 60 yards (per tartan ordered. If you want both, that’s TWO 60-yard orders). The tartan may be used for kilts, sashes, ties, hats, etc. for members of your family or club. Two yards for a long, straight ladies kilted skirt with darts at the waist. A knee-length skirt will take the same with the remainder becoming a joined sash. Make it 3.5 yards if you want box pleats in the back. 3.25 yards for a sash, with five sashes coming from the length. Men’s street kilt — not less than 3.0 yards. Men’s regular kilt — you’ll want to ask the kiltmaker, but it will be at least 4.0.